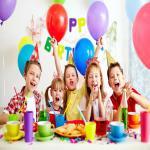 Surprise parties are a great way to make a birthday special. While they may require a little extra effort and a whole lot of secrecy, if you plan correctly you're sure to create an event that will stand out for years to come. Start by making list of everything you know your guest of honor would want in a party. Incorporating the little personal touches that show just how well you know them will earn you lots of points. 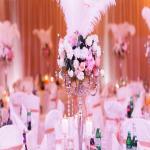 Decide on the size of the party and choose an appropriate venue. Choosing somewhere familiar like your house or favorite bar can be fun but don’t be afraid to think outside of the box and go somewhere unique for some added "wow" factor. Depending on the scope of your plan you may need to bring in a confidant to help. Having a partner in crime who is friends with the birthday guy or gal can almost help you double check that you haven’t forgotten about any guests on the list. Involving too many people in the planning increases the risk of discovery, but you should have at least one ally to help with the process and provide a solid second opinion. When reaching out to guests avoid social media. A facebook event can easily slip into a public news feed amongst mutual friends and your cover could be blown with a few mistaken clicks. Loose clicks sink ships so take your invite process offline. Reach out over the phone where you can explain the specifics to your guests without risking the possibility that they’ll just skim over the invite and not realize the secrecy involved. Next you need to figure out how you’re going to get your guest of honor to the party without raising any red flags. The whole fun of a surprise party is showing your special friend or significant other just how much you care but you don't want that person to feel neglected on their birthday by thinking they're not having a party at all. There are a few ways to go about avoiding this problem... One solution is to create an alternate plan for that evening which still feels thoughtful but on a smaller scale than what you really have in store. By making a more intimate plan like a dinner with only a few friends, you create a plausible alibi that shows you still care about their big day while lowering their guard so you can really surprise them later. Another solution which requires less deception is to tell the birthday guy or girl outright that you have a whole special plan arrange for their birthday but that you’re keeping it a surprise. After all, part of the joy of parties, birthdays, gifts (and just about everything else) is in the anticipation. Instead of going with the bait and switch approach which delivers only a short surprise and risks being revealed (unless you’re an Oscar quality actor), why not let the birthday guy or girl enjoy looking forward to the event and keep them guessing about what you have in store for them? You just need to make sure that you’ve arranged something big enough to pay off the build up! Either way you need to coordinate your timetables so that the guests arrive well in advance of the big reveal or safely afterwards to avoid any last second blunders outside the party. Whatever you do, make sure to keep it fun and light-hearted, don’t let the stress over keeping the surprise under lock and key take over, it’s only a party after all and your special someone will appreciate your heartfelt efforts no matter what. Do you have any great surprise party stories or tips? Post them on our Facebook, Twitter, or leave a comment below!